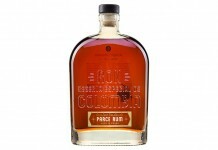 Facundo Eximo Rum (40% ABV / 80 proof, $60) – a lot of aged rums are a result of blending a number of different rums together after aging into a single, unified product. That product must state the youngest rum in the mix, but often there are small amounts of older rums to help add dimensionality and depth. Blending after aging gives a blender a great amount of ability to balance and shape the character of a rum. It takes a tremendous amount of skill to do this blending BEFORE a rum is aged, and that’s what Bacardi has done with Eximo. 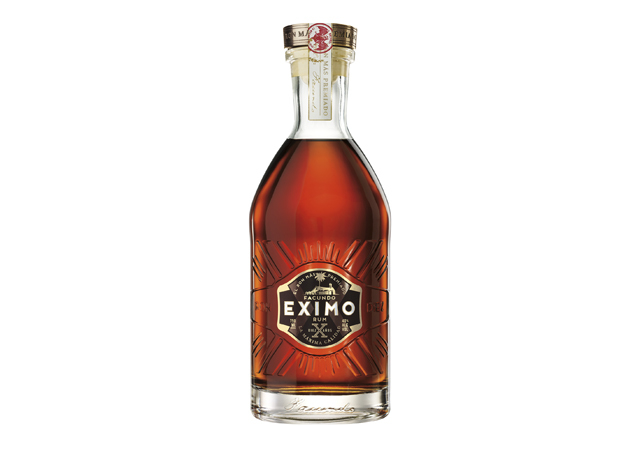 Eximo is a 10 year old rum which was blended before it was put into the barrel 10 years ago. In the mix are a few rums older than 10 years old (and were 1-2 years at the time of original blending), giving Eximo a total age range of 10 – 12 years. The nose on Eximo is strong oak backed by vanilla, caramel, bananas foster, and bitter dark chocolate. The aromas in Eximo’s nose integrate amazingly with the sweeter notes layered in between varying levels of oak. The nose on Eximo also has a wonderful old bourbon-like quality to it, reminiscent of the character we’ve seen in 20 year old bourbons. 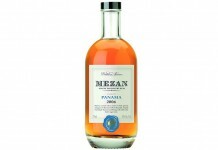 Although the nose suggests bourbon, the entry proclaims RUM with vanilla, caramel, and toffee right there with the oak. What’s interesting about Eximo is that it presents more oak than spice, with flavors that can be described more as deep oak, dry oak, or smokey oak than oak spice. As with NEO, Eximo goes on a journey from sweet and round towards dry. The journey isn’t nearly as dramatic with Eximo, but the shift is quite pleasant. The midpalate of Eximo is all about oak, with the sweet vanilla and caramel notes from the entry combining with tobacco and slightly bitter dried raisin, interweaving with the oak notes with tight and impeccable integration. The midpalate is a sheer love letter to oak and presents a strong oak flavor in one of the most pleasant and satisfying ways we’ve seen. The finish for the Facundo Eximo Rum is fantastic, slightly dry and incredibly long with bitter dark chocolate, vanilla, raisin, oak, and tobacco, flavors that continue to dance on the palate long after Eximo has come and gone. Eximo takes everything that Bacardi has accomplished with their 8 year rum and cranks it up to 11 (excuse the pun) in one of the most enchanting and alluring expressions of this style of rum we’ve had. As with NEO, Eximo helps solidify the emerging premium rum categories with an entry well worth every penny of its $60 price.